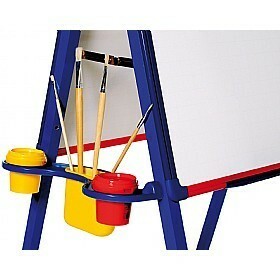 The double-sided whiteboard in a colourful easel style design. 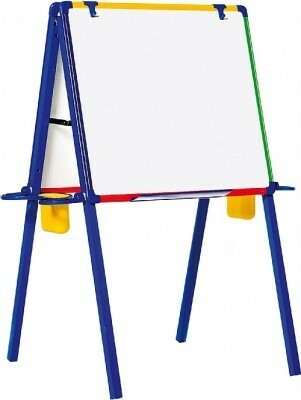 Features of this board include handy side pots for convenient storage and a magnetic surface which can also be used with dry wipe markers. 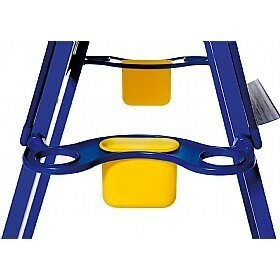 Durable reinforced design with a bright and colourful plastic trim.